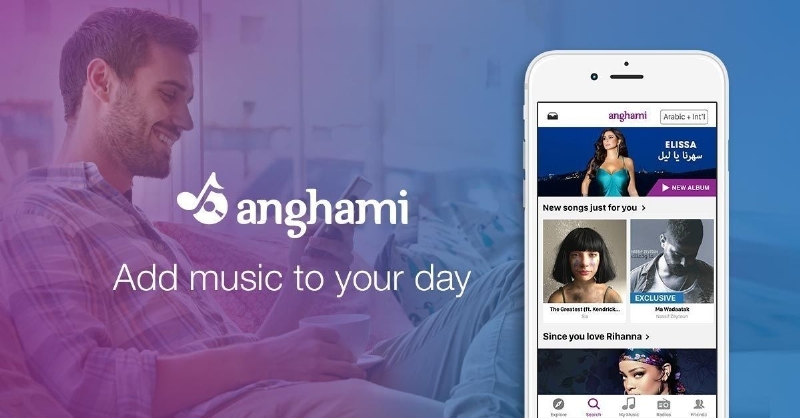 DUBAI, UAE: PRNewswire: Anghami, the leading music streaming company in the MENA region, announced today that it has raised an undisclosed amount in a Series B investment round led by private equity firm Samena Capital. UAE-based telecommunications service provider -‘du’ also subscribed to the fundraising and entered into a commercial agreement with Anghami in the UAE to bundle its music streaming service with du products. The completion of the Series B investment round marks the third successful fundraise by Anghami, which was seeded by Middle East Venture Partners (“MEVP”) in 2012. Subsequently in 2014, MEVP lead a successful Series A fundraising round that included co-investments from MBC Group, the leading media group in the MENA region and Mobily Ventures, the investment arm of leading Saudi telco-operator Mobily. The proceeds of the latest round will fund the next phase of Anghami’s user acquisition and further regional expansion. The investment will also be used to grow the company’s 20 million song library, which includes the largest catalogue of digital Arabic music globally, and to enhance Anghami’s rapidly growing music video platform among other new features. Founded by Lebanese entrepreneurs Eddy Maroun and Elie Habib and backed by its strategic and financial shareholders, Anghami quickly secured exclusive access to the music libraries and artist pre-releases of leading Arabic and International music labels. Through its partnership with MBC, Anghami entered into a flagship marketing agreement which spearheaded its media presence in the MENA region, particularly through exclusive integration into popular TV formats such as Arab Idol, The Voice and The X-factor. In parallel, the company built a portfolio of bundling agreements with more than 15 telco companies across the Arab world. In the last three years, Anghami has grown its subscriber base eleven-fold to 30 million users, and its monthly active user base five-fold to a current 6 million users. At least 500 million songs are streamed per month from Anghami’s multi-application platform. Anghami is the leading music streaming platform in the MENA region, with the largest library of digital Arabic music in the world. Anghami features licensed content from leading Arabic labels such as Rotana, Platinum Records, Mazzika, Watary and leading aggregators, as well as major international music labels such as Universal, Sony, Warner. The unlimited, on-the-go music streaming service enables users to discover new music, share tracks in real-time through social networks and download content for offline play. The company’s mission is to pioneer an ecosystem for the production and distribution of music in the Arab world, connecting artists, fans and emerging talent around music. Samena Capital was established in 2008 as a principal investment group focusing on the Subcontinent, Asia, Middle East and North Africa, collectively the SAMENA region. Its distinctive model brings together entrepreneurs and business leaders from across the region as shareholder investors. It has raised US$1.1 billion of assets since 2008 and has returned US$500 million in capital from over 40 full and partial exits. Samena Capital currently manages total capital commitments in excess of US$700 million. du is a vibrant and multiple award-winning telecommunications service provider serving over 8 million individual customers with its mobile, fixedline, broadband internet, and Home services over its 4G LTE network. du also caters to over 80,000 UAE businesses with its vast range of ICT and managed services. Since its launch in 2007, du has many UAE firsts to its credit, including introduction of Pay by the Second® billing system, IPTV and self-service portal. du is ideally placed to support the realisation of UAE Vision 2021 and transformation of Dubai into a Smart City. du is also the official strategic partner of the Smart Dubai Office and the platform provider for Smart Dubai. Following the successful testing of the Middle East’s first Internet of Things (IoT) network, du is on course to complete deployment of its IoT network in 2016. Brand Finance ranked du as the 12th most valuable brand in the Middle East in 2016. du previously won the coveted Brand of the year title by Superbrands Middle East in 2013. The company has been recognised with several other awards such as ISO 27001 certification of Managed Security Services and having the distinction of opening UAE’s first LEED Platinum Certified Green Shop. du also has the unique distinction of the first telecom in the world to release Sustainability Report based on GRI-G4 guidelines in 2014. du is also credited with du’s world-class teleport is the largest of its kind in the Middle East and ranked among the top teleports in the world by World teleport Association. As an Emirati business, du is vested in supporting innovation and entrepreneurship in the UAE. The company has, on average, had an Emiratisation rate of 34% since 2013 across its entire business. Human capital is a key focus area for the company, and the company employs nearly 2000 people from over 60 nationalities. du has won Gallup Great Workplace Award for two consecutive years. du is 39.5 percent owned by Emirates Investment Authority, 19.75 percent by Mubadala Development Company PJSC, 19.5 percent by Emirates Communications and Technology LLC and the remaining by public shareholders. Listed on the Dubai Financial Market (DFM), the company trades under the name ‘du’. Middle East Venture Partners (MEVP) is a leading MENA-focused venture capital firm that invests in the early and growth stages of innovative companies, run by talented entrepreneurs primarily in the MENA region. With offices in Beirut, Dubai and Silicon Valley and more than $120 million in assets under management across 4 venture capital funds. Starting back in 2009, MEVP is the pioneer and largest venture capital firm in the MENA region, with clear cross-border investment appetite. MEVP has already invested in over 38 technology companies including multiple MENA market leaders.